"I have recently installed the iOS 12.1 on my iPhone and iPad device and since then I can't get iMessage to sync between them and my 2016 MacBook Pro. I tried turning iMessage on and off on all devices and resetting all devices. I also checked the settings to be sure that they send and receive and had all possible options selected. I can't seem to find any solution to iMessage not syncing between Mac and iPhone issue. Any assistance would be greatly appreciated." Want to access iMessages on Mac but, suffering from the iMessage not syncing on Mac device? Well, you are not the only one who face the same problem. There are lots of users also faced the same problem after updating their device to the latest iOS 12.1 version. We all know, it is a very frustrating situation when you have some urgent work and want to access iMessages directly on the Mac computer. Are you seeking for the solution to this problem? 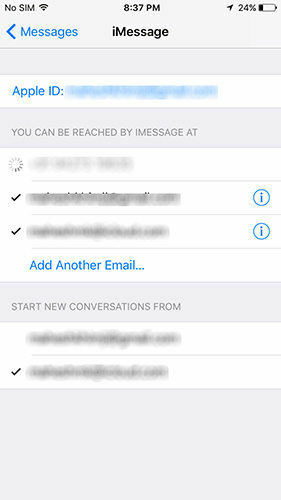 Well, you can follow this post in order to know about best fixes for iMessage not syncing. Part 1: How to Fix iMessage Not Syncing on Mac? In this part, we will provide several practical solutions to the problem of how to sync iMessage to Mac. So, without further ado, let's move to the guide on best methods to fix iMessage not syncing on Mac computer. In the case of iMessage on iPhone, syncing is only possible when the same account is logged up in both devices. In this way, you have to check Apple ID and email address on both devices iPhone and Mac. If you don't know how to check Apple ID and Email address on both devices? Follow the below guide. Step 1: First, simply open the Settings by tapping on the gear icon. Step 2: Now, you have to choose "Messages" from the given options. Step 3: Under the Messages interface, tap on the "Send & Receive" button and check whether the email is valid or not. Step 1: Initially, you have to open the Messages app on your Mac device and go to the "Preferences" by clicking on the "Messages" menu at the top of the screen. Step 2: When the Accounts interface appeared, click on the "Accounts" tab and check whether the email address is the same with that of the iOS device. Step 1: At the very first step, you have to open the Messages app on your Mac computer. Step 2: Then, you try to send an iMessage from your Mac computer to someone. Once the iMessage is successfully sent, you will see all the messages on the Messages app on the Mac. If it is not sending then, you can follow the next solution. If you are facing a problem like iMessage not syncing with the Mac, maybe there are some problems with the account permissions. You can try to sign out and sign in again to iMessages on Mac. Performing the sign-out and sign-in could fix the problem like iMessage not syncing between Mac and iPhone.Follow the below steps to learn how you can sign out and sign in to iMessage. Step 1: At the very first step, one has to open a "Messages" app on your Mac computer. Step 2: Now, you have to click on the "Messages" tab and click on the "Preferences" option from the drop-down menu. Step 3: Accounts interface will appear, click on the "Accounts" and hit on the "Sign out" button. Step 4: Go back to the home screen and open the "Messaging app" by clicking on the "Messages" app. Step 5: iMessages interface will appear, enter the Apple ID and Password and hit on the "Sign in" button. After performing the above steps, you can sign out and sign in to Message app on Mac. Step 1: Initially, you have to hit on the "Gear" icon to open the settings. Step 1: Now, one has to tap on the "Messages" and disable the "iMessage" toggle and turn it back on. When it comes to iMessage, it works in a different way. You may have iMessages showing up on your iPhone, even if you erased all these iMessages on your Mac. A similar thing happens when you agonizingly experience the way towards erasing iMessage on your iPhone, just to see them showing up on Mac. This happens because iMessage produces diverse security keys for your iPhone and Mac and makes utilization of these security keys to push Messages independently to your Mac and iPhone. You can delete the Messages on your iPhone that are still appearing. Problem is still not solved after executing all the above methods? You can try to confirm the Mobile Phone number with Apple ID. Want to know how to confirm mobile phone number with Apple ID? You can confirm the mobile phone number with Apple ID from Apple's official website. You can go to the Apple official site and complete the sign in process. Click on the "Accounts settings" and confirm the mobile number with Apple. One of the best solutions to most of the iPhone problems is simply to restart your device. It is always recommended by experts to reboot your mobile device every 1 week in order to get optimum performance from your device. 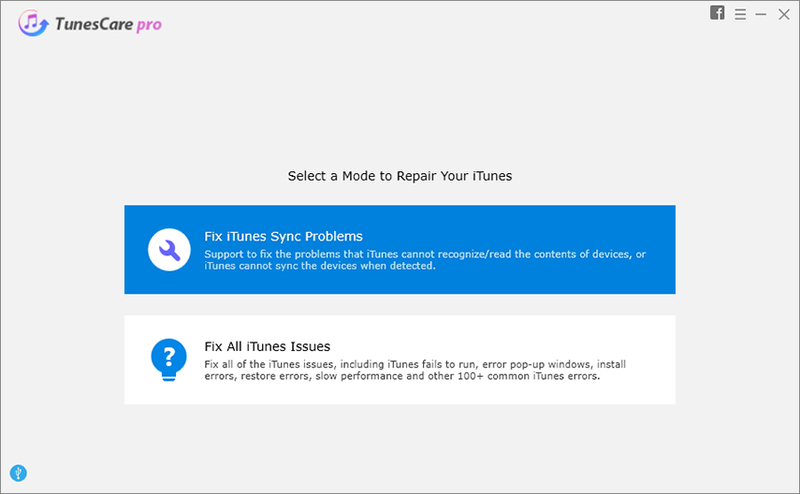 Similar to problems like iMessage not syncing on Mac, you can simply restart your device in order to fix it. Step 1: Tap and hold the Side key and either the Volume key and wait till you get the slider. Step 2: Drag the slider to turn off your device. Now, press the Side key again to turn it on. Step 1: Tap and hold the Side or Top key till you see the slider. Step 2: Drag the slider to turn off your device. Now again tap your Side or Top key to turn on your device. Step 1Download and install iCareFone. Step 2 Connect your iPhone and Mac computer and go to the Manage tab at the top. Step 3 Now, from the 8 types of files listed on the left, simply select "Messages" here. Step 4 Select the messages and tap Export. So, this is how you can export all your messages from iPhone to your Mac using Tenorshare iCareFone. Overall, if you are experiencing iMessage not syncing on Mac, you can follow the above procedures to troubleshoot and solve the issue. Follow them carefully and we sincerely hope it will get your job solved. In case you want the simplest way to export messages and other data, we highly recommend you to go for Tenorshare iCareFone. Data transfer more easily!